July 19, 2018 (Courtesy of CBC.ca) -Inflated property values and the promotion of non-qualifying investments as being RRSP-eligible are some of the key allegations made by the RCMP in a search warrant application it filed to authorize an April raid on six Toronto-area offices. She invested just over $100,000 of her pension payout from a previous job into a syndicate mortgage in Winnipeg’s SkyCity condo project in 2015. “These projects contained representations made to investors involving inflated current “as is” property values,” alleged Const. Martin Williamson of the RCMP’s Integrated Market Enforcement Team. “Property valuations for Fortress Real Capital syndicated mortgages were misrepresented to investors,” Williamson alleged. “A loan-to-value ratio over 100 per cent would indicate that the investment would not be RRSP eligible, contrary to information provided to investors,” alleged Williamson. Williamson alleged an “inflated property value” significantly impacts the actual safety of the investment because the security of the investment is tied to the underlying value of the land. Investigators believe the value of the land where the 45-story condo project was set to rise “was falsely represented.” Documents list the plot of land as having an “as is” value in 2013 of $18 million. “Investigators believe the current “as is” value of the property in 2013 was between approximately $4,400,000.00 and $11,000,000.00,” wrote Williamson. The investments that investigators have examined are not RRSP-eligible and could be subject to adverse taxation by the Canadian Revenue Agency,” alleged Williamson. The RCMP believes the values of land given to investors have created “a risk of detriment” to the financial and real estate markets. “Fortress is cooperating with the current law enforcement inquiries regarding syndicate mortgages and has nothing to hide. Fortress believes that it will be vindicated,” wrote Fortress spokesperson Scott Davidson of Bayfield Strategy in an emailed statement. “We rely on mortgage brokers and agents to provide accurate, reliable and regulatory compliant information that the projects and the lenders can rely upon. This includes market studies and reports on sales trends, appraisals and valuations of land, and advice from experts.,” wrote Davidson. Lead mortgage broker BDMC’s court-appointed trustee said it has no comment at this time but said it will co-operate with the authorities in a letter to investors from April. 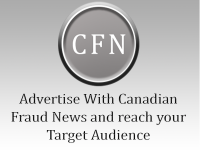 The fraud investigation, which began in October 2016, was dubbed project Odynasty by investigators from the RCMP’s Integrated Market Enforcement Team (IMET). “Fortress has participated in the successful exit of 30 projects and the completion of almost two million square feet of new residential and commercial real estate with another four million square feet currently under construction. We believe we have followed all rules, regulations and laws in doing so,” wrote Davidson.